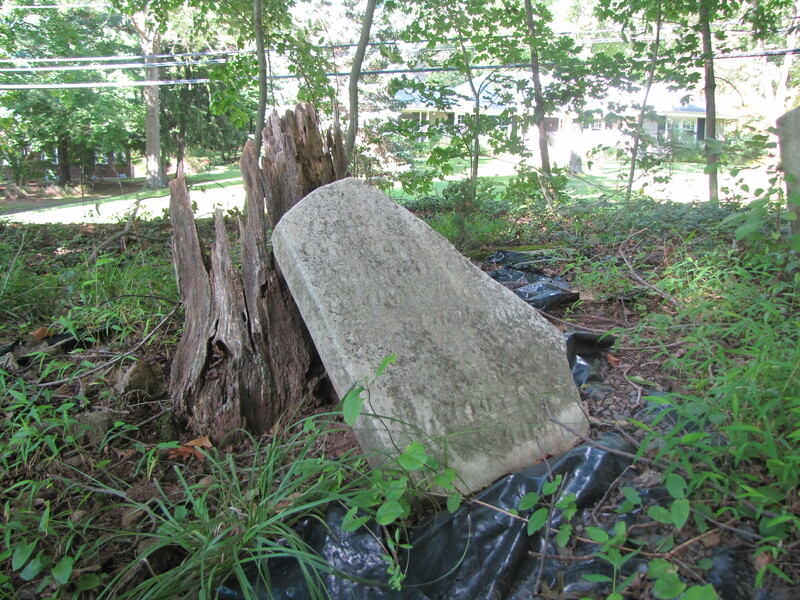 Located in Bridgewater about 5 yards from a major road and yet completely invisible from it, lies a small burial plot of slaves from the 1700’s. 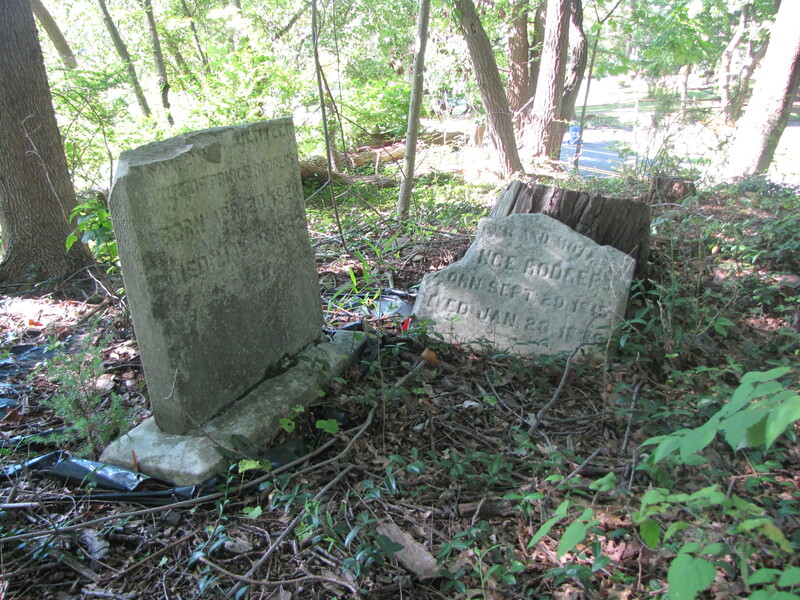 Located approximately 500 feet from Foothill Road and Bridge Rd in Bridgewater is a burial plot. 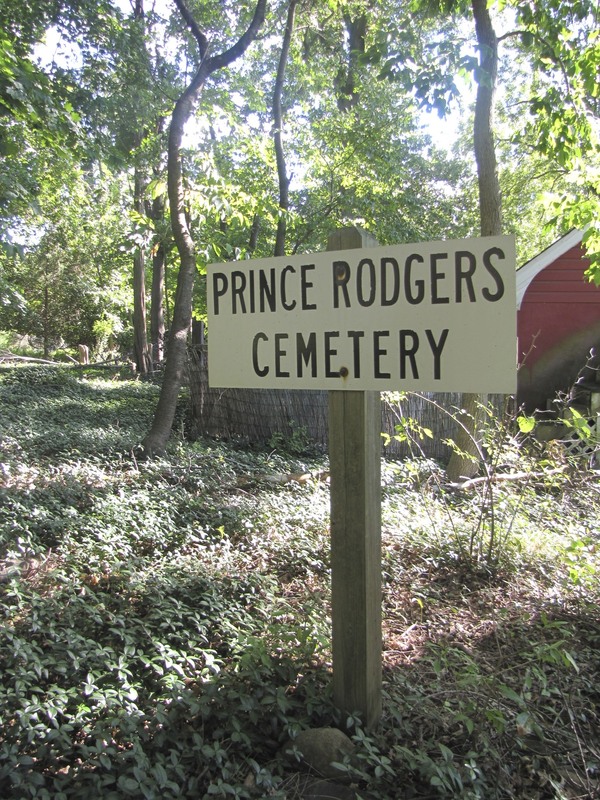 Known as the Prince Rodgers cemetery, (it has also been referred to as the VanderVeer Burying Ground), there are a handful of headstones, several of which are broken. Prince Rodgers was born in 1813 and was a slave of Cornelius Van Horn until being freed from slavery by his master at age 25. Other sources claim that Rodgers was a slave of the VanderVeer family. Completely forgotten despite being yards from the road, it sits between two homes one of which is owned, the other appears abandoned. 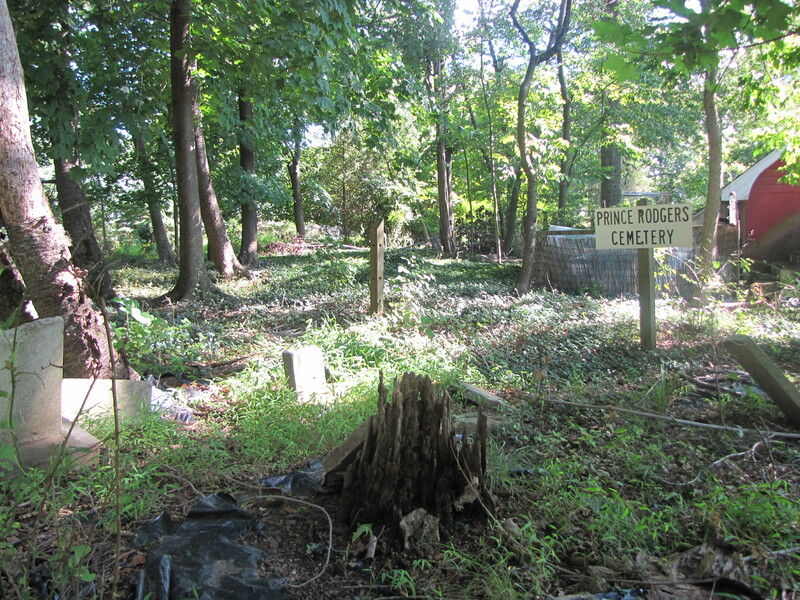 Several years ago efforts began to restore the cemetery. Black plastic and wood chips have been laid down and the brush was cut back, but not much progress has been made since then and the weeds and brush have returned. An archaeologist from the NJ State Museum examined the site and found more bones. The school superintendent said he would not stop construction. He was investigating because the school asked him to, and he would only do what he was asked and no more. The land on which the school sits was once owned by Hartmann Vreeland, one of the earliest settlers of the Passaic area, and like many of the settlers he owned slaves. William Scott, author of “Passaic & It’s Environs” wrote of a slave burial ground between Madison St & Bartlett Place. The Vreeland family members were buried in plots in the Low Dutch Protestant Reformed Church of Acquackanonk on River Dr. 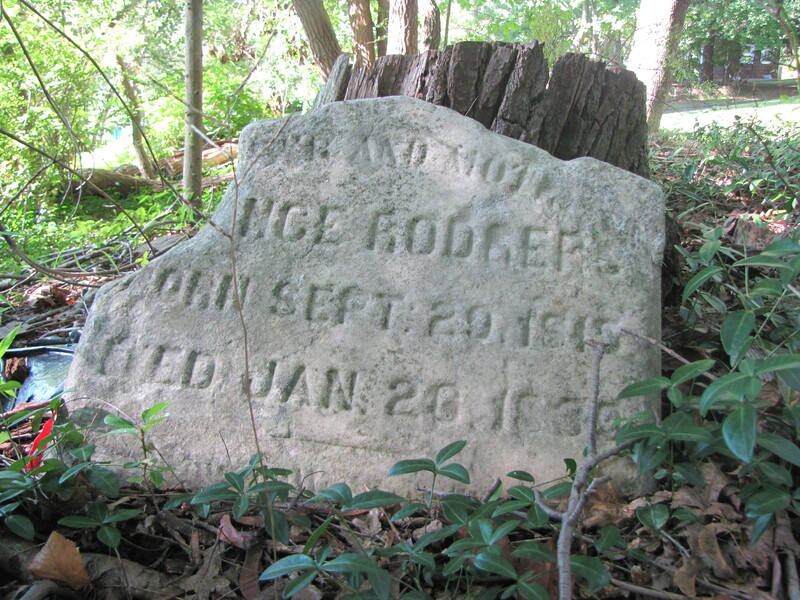 It is believed his slaves were buried here on the property. Official hope to put up a plaque or memorial in memory of the dead.